Welcome to Week 2! How did this week's readings go for you? "Power is going to change hands in Newcago. Limelight is coming for Steelheart." I just... I mean... Limelight? Really? This is why we don't let David name the Epics. He wouldn't be the only one who thought it reeked of conspiracy. There were a lot of things about the Epics that didn't line up. Yes, we get gradually fed more and more information about Calamity and the appearance of the Epics, but... gah! Re-reading this through, I cannot wait to get to the third book and find out what's going on once and for all! "Wow," Cody said. "Honestly, lad, I thought you were exaggerating. But y'all really are a full-blown supergeek, aren't you?" He pointed to Megan, who stood beside the doorway, her arms still crossed. "Persuade her." 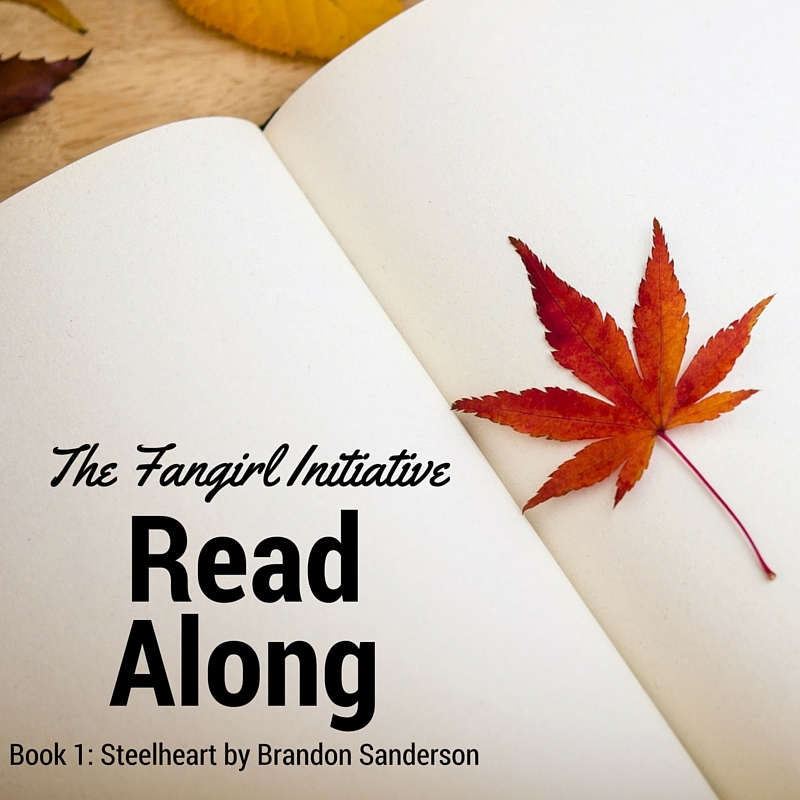 Persuade Megan to go after Steelheart. Oh yay. This device was remarkable; it made me feel as if we really were standing on top of a building outside in the city, rather than in a box of a room. OK, seriously, all the technology in this book? I want it. The jackets Cody talked about earlier? I could use one while mountain biking. Movies would be crazy awesome on an imager. It would almost be as good as having a Star Trek holodeck. Violent red lights shone from deep within the various recesses, and smoke billowed from chimneys, black against a black sky. Steelheart definitely has a flair for the dramatic. "It's a slang term," Tia said, "for what we call a transference Epic." Nice. And that's how Enforcement gets all their cool toys. Early scholars had wondered if perhaps Epics were some new stage in human development. An evolutionary breakthrough. I didn't accept that. This thing wasn't human. It never had been. Cody had said it was magic, and had told me not to ask any questions lest I "anger the wee daemons inside who make the gloves work and our coffee taste good." See why I love this character now? He's going to die. I hold no optimism. "What about Prof?" I asked. "He invented them. He's got to be pretty good with them, right?" Ignoring his powerful machine gun, he calmly reached to his side and took his handgun out of its holster, then shot the thug in the thigh. Abraham rocks too. I mean, the dude just got shot three times (ok, so his special flak jacket kept him from getting terribly hurt, but still), and he just stands there and... dude. The man is a rock. A quiet, wise rock. "Which you read 'a few times.'" Hey. Don't knock encyclopedia reading. They looked dangerous, like alligators. Really fast alligators wearing black. Ninja alligators. "Alas," Abraham said," our encounter with him did not leave time for proper harvesting. But four others, including Absence." "He just sends Nightwielder," I said, sniffing the air. "Yeah, he's here." Oh yay, an Epic who works for Steelheart shows up just as they're buying weapons for a plan to kill Steelheart. Fun times, y'all, as Cody would say. It was time for a little more improvising. Forensic equipment would include the kinds of things one used for studying a crime scene... UV light... the very thing my notes claimed was Nightwielder's weakness. I turned the UV light and shined it on Nightwielder. Dude, I don't even know what to say to you right now. What would it take to impress that girl? Steelheart is smart. He knows why people come to Newcago. If he loses the basic things--sewage, power, communications--he'll lose the city. Nice, Prof. I like it. Don't betray that trust, son. Keep your impulses in check. Don't just act because you can; act because it's the right thing to do. So, there you have it! What did you think of these chapters? Does anyone else share my love of Cody or Abraham? No challenge again this week! Read chapters 21-30, and see you back here in two weeks!